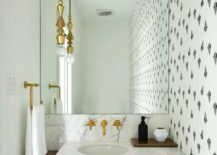 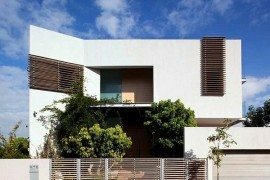 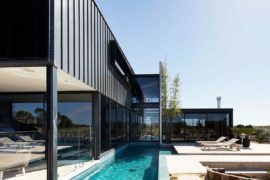 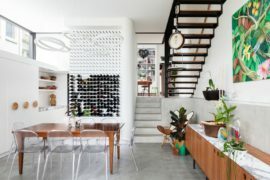 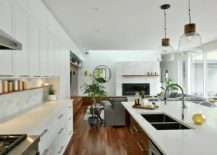 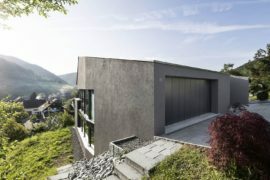 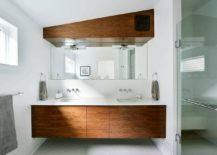 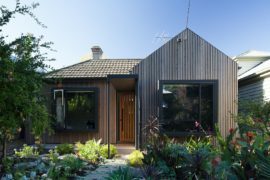 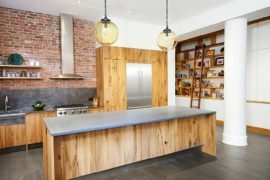 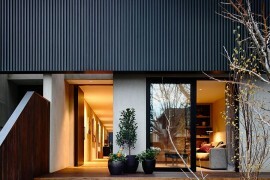 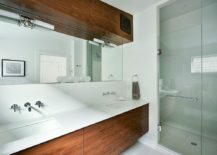 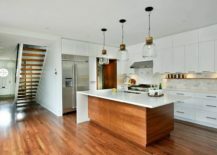 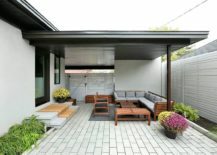 A fabulous modern home is about finding the right balance between aesthetics, functionality and a sense of uniqueness. 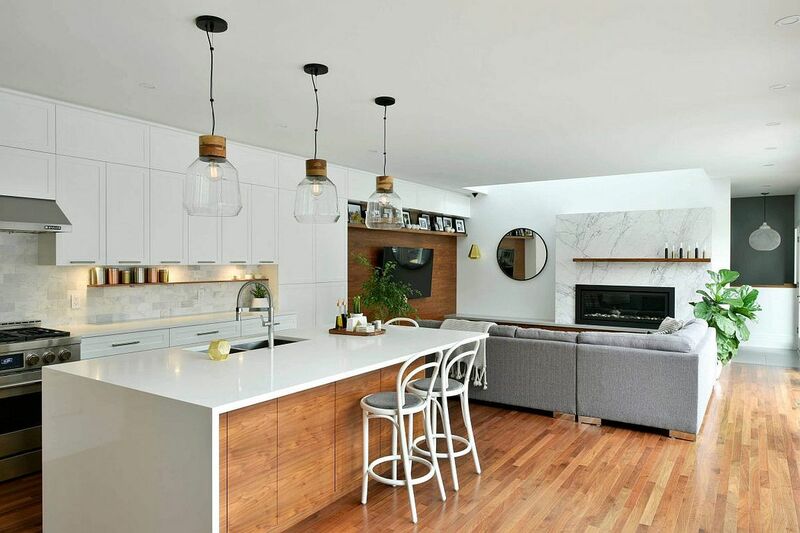 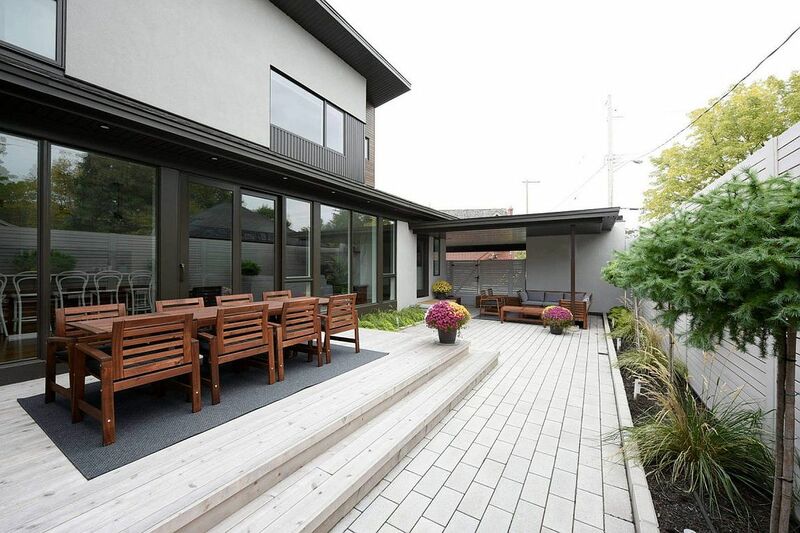 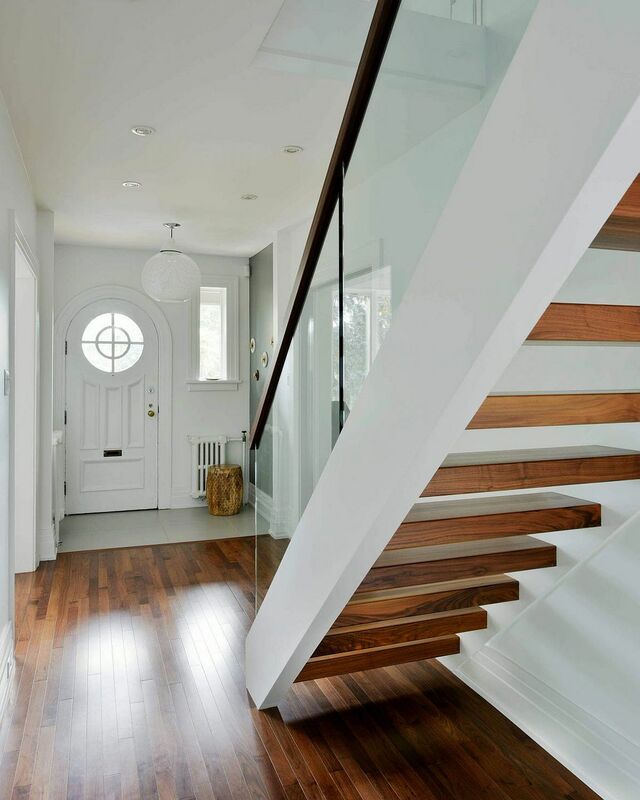 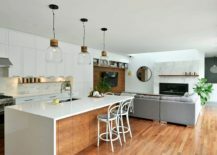 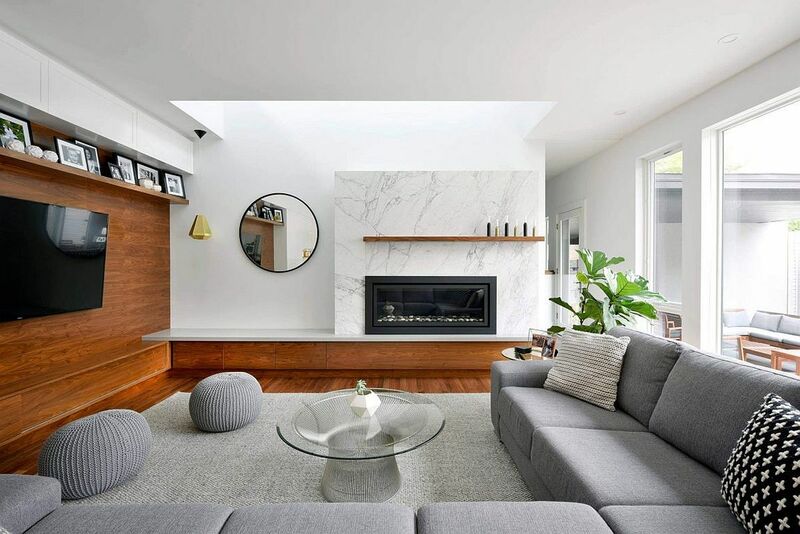 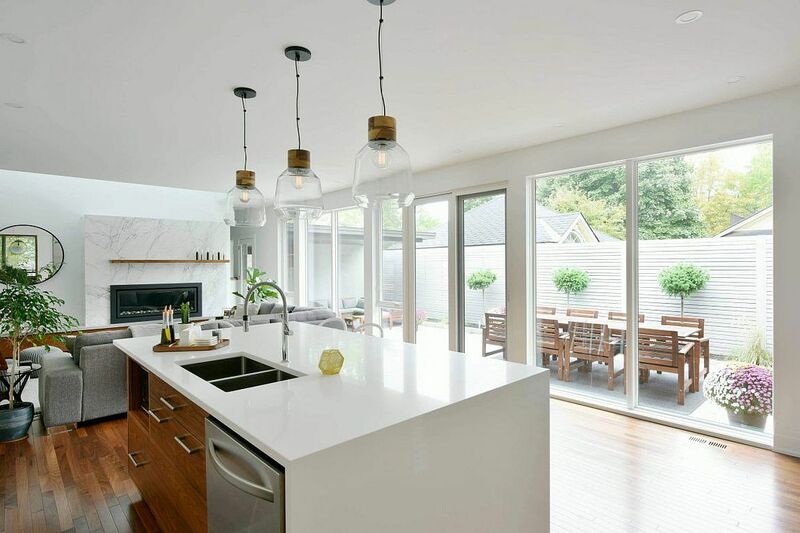 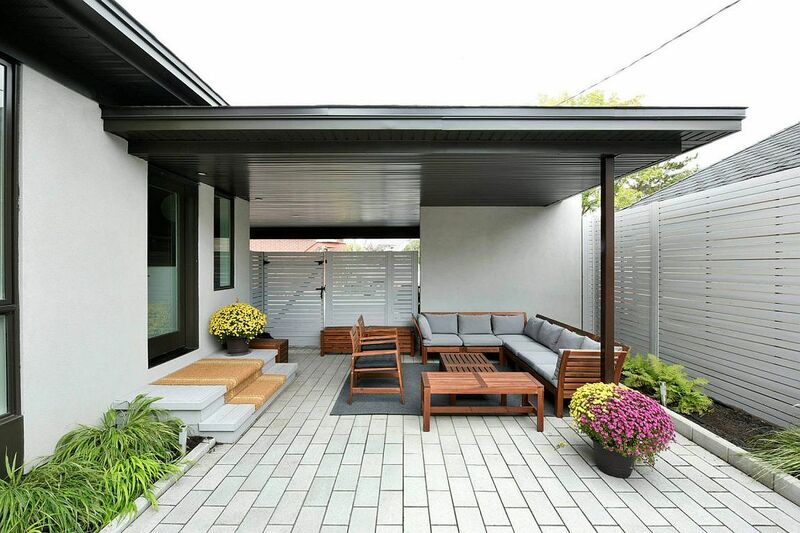 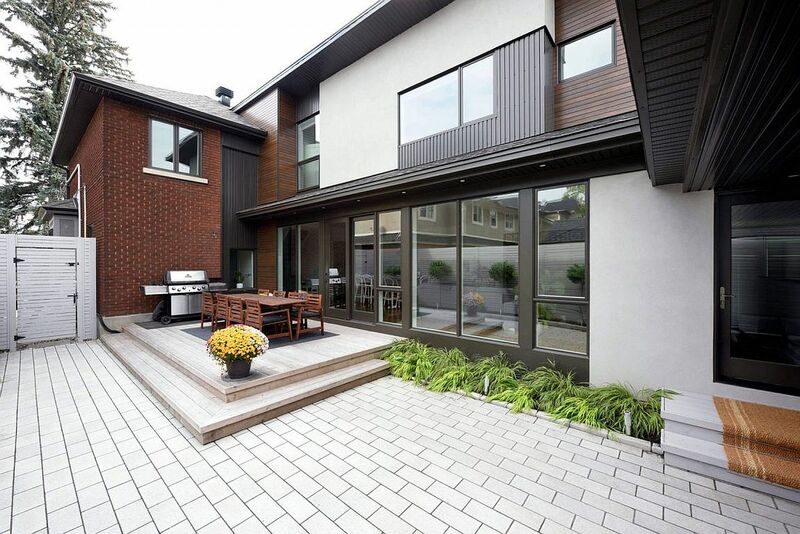 Designed by Gordon Weima, House Addition is one such gorgeous contemporary residence nestled in the heart of Ottawa, where one finds a sophisticated neutral color palette blending in with striking textural contrast. 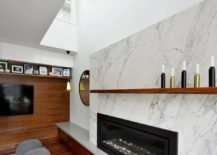 It is the living room where this fusion starts as a marble fireplace wall sits snugly next to the accent wooden wall that holds the entertainment center. 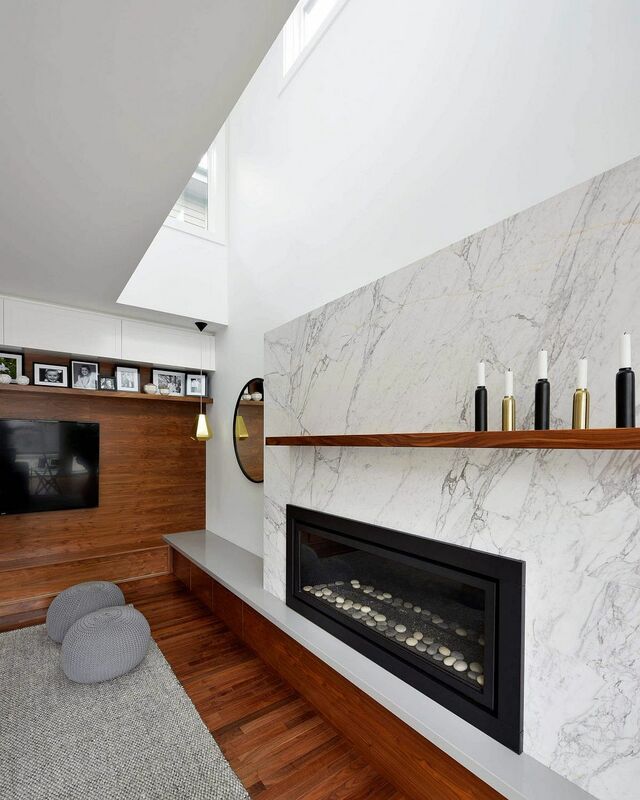 Despite white and shades of gray being dominant throughout the house, the interior feels anything but monotonous. 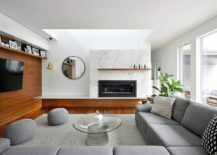 A round mirror and the gold pendant in the living room along with the comfy sectional and the stylish coffee table usher in even more contrast. 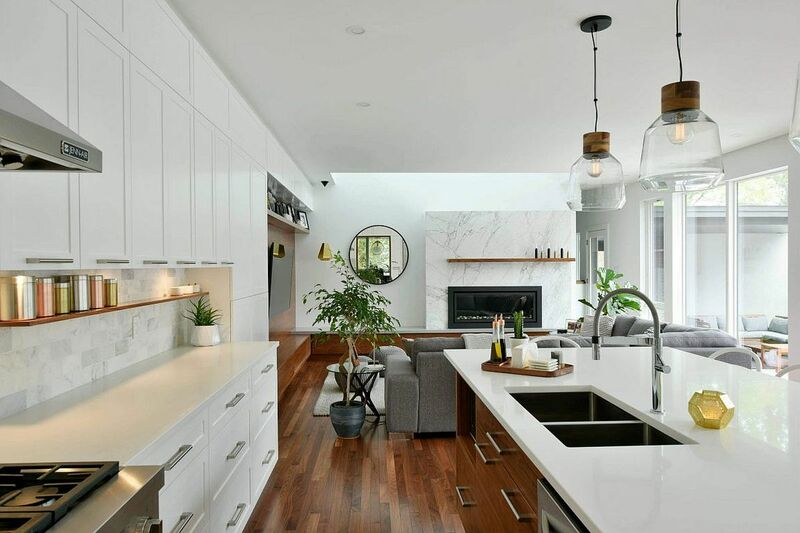 On the other side of the living space is the ultra-refined, contemporary kitchen with striking glass pendant lights above the central island. 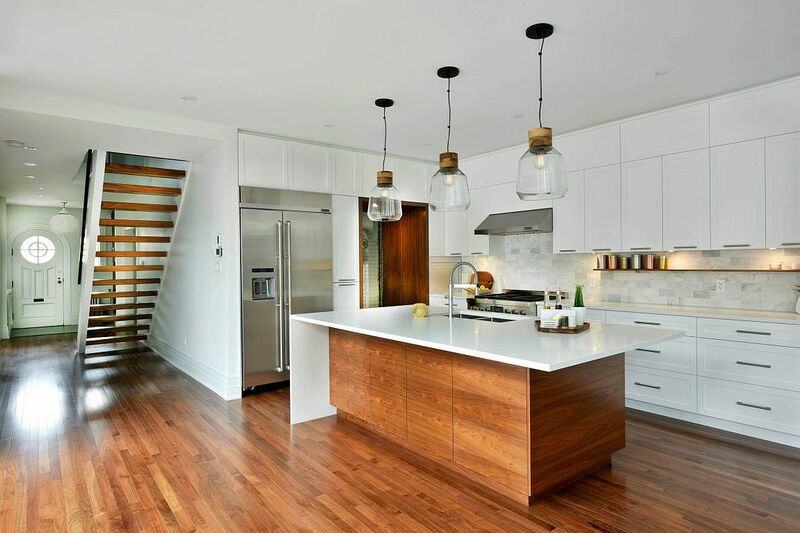 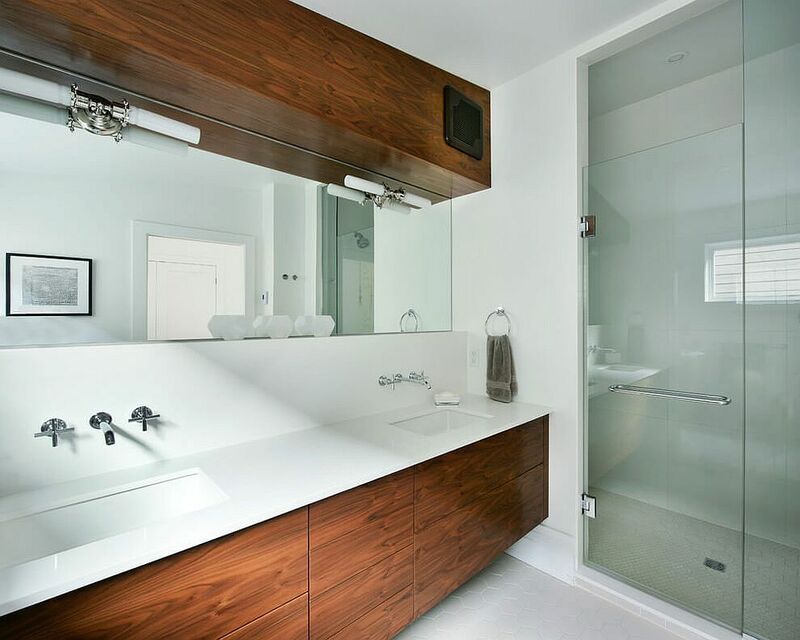 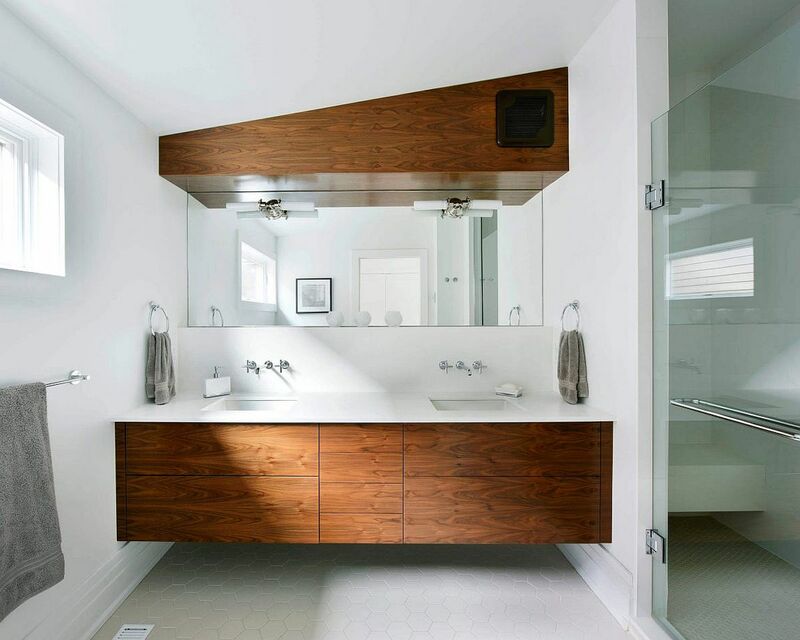 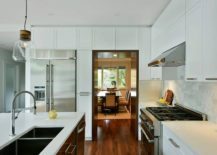 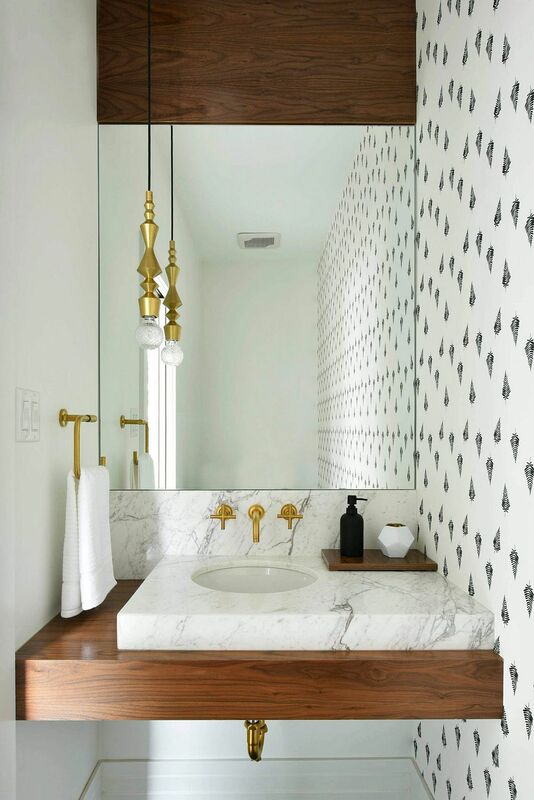 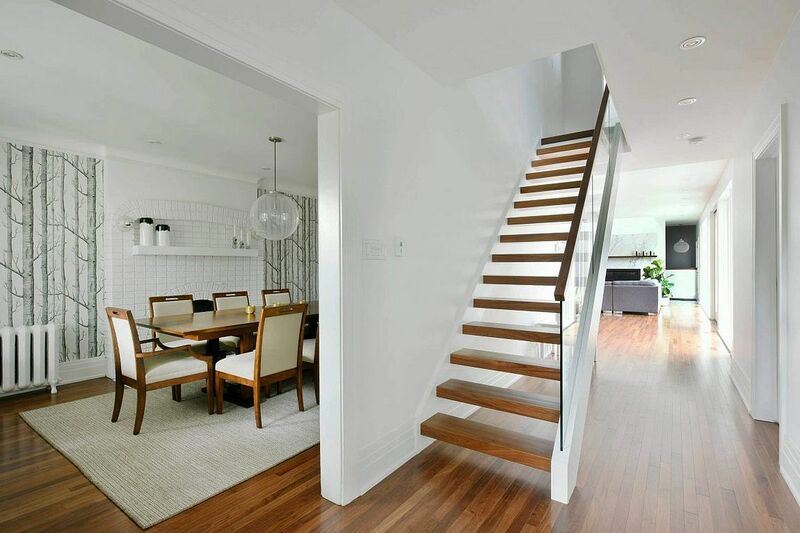 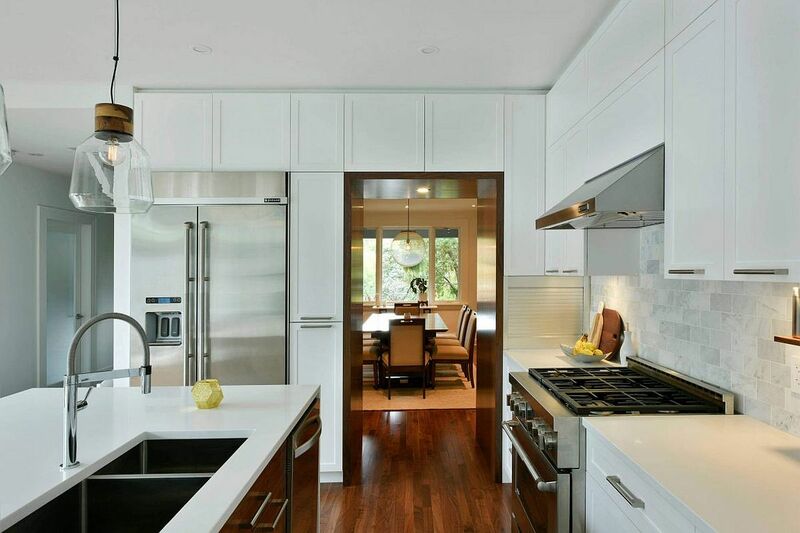 It is once again polished white finishes combined with woodsy warmth that hold sway here. 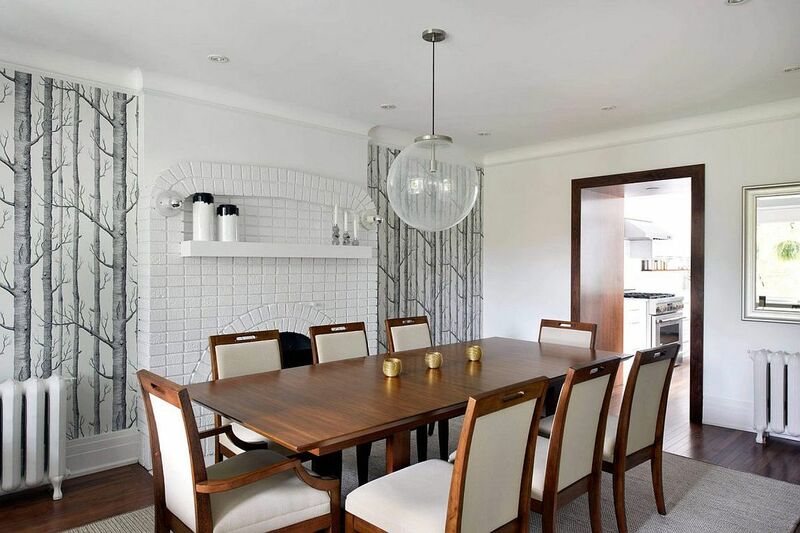 The dining area sits in an entirely different room with a unique backdrop crafted using the Woods wallpaper and plenty of white!